I love books. I have always read and love to read but, with two young children, this blog and a home to look after there really isn’t much time left to read. So when BookBeat got in touch and introduced me to their service I just knew I had to try it. 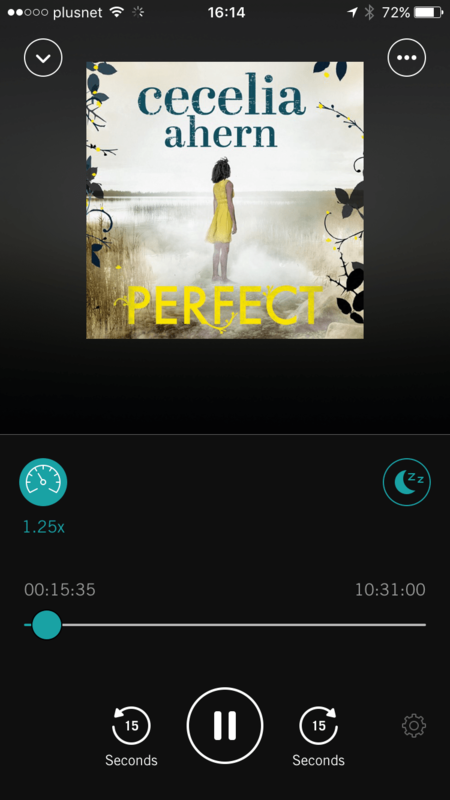 BookBeat is an audiobook app that lets you listen to books by streaming them when you’re online or by downloading them and listening offline. I have never listened to books before – well, not since being read to in childhood, and I had no idea how I would feel about listening to books instead of reading them myself and I also wasn’t sure whether I’d actually have the time for audiobooks either – if I don’t have time to read when will I find the time to listen? But, I started browsing the BookBeat store and immediately found a book that I really wanted to read. It was newly released and I didn’t want to buy it in hardback so had resigned myself to waiting until next January to read it, when it was released in paperback. You can imagine how happy I was to find it on BookBeat! There are so many categories of audiobooks available and even children’s audiobooks and non-fiction. I started listening to the audiobook through wifi and I was impressed with how smooth the reading was. I thought it may take time to buffer like videos do sometimes but it was as if someone next to me was reading out loud. 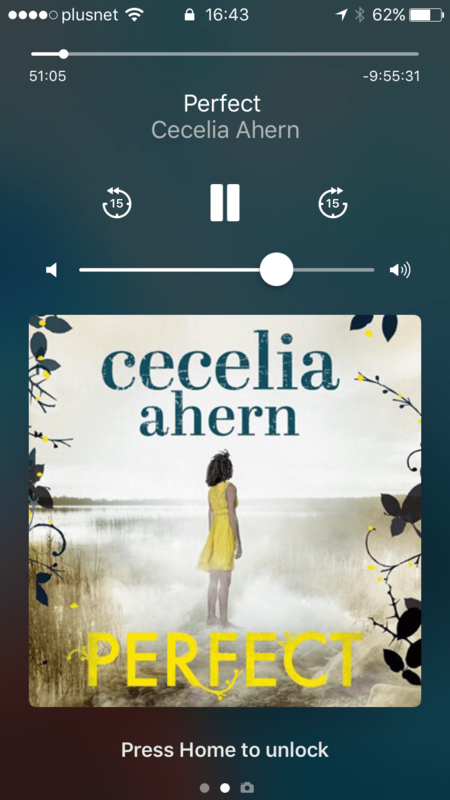 I downloaded the audiobook to my phone when we went on holiday in case there wasn’t any wifi and was impressed that I could download more than one book at once – as many as the storage space on my phone would allow. 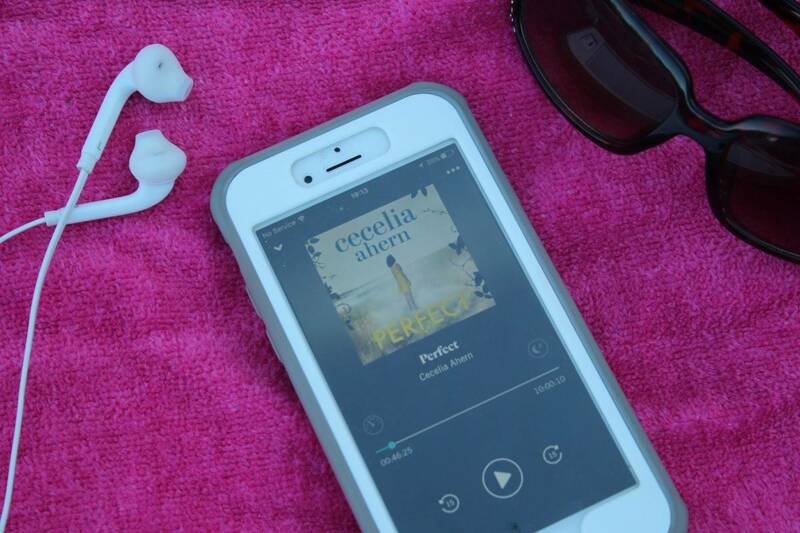 This meant I could listen to the audiobook anywhere and at any time – even on the aeroplane or next to the pool! 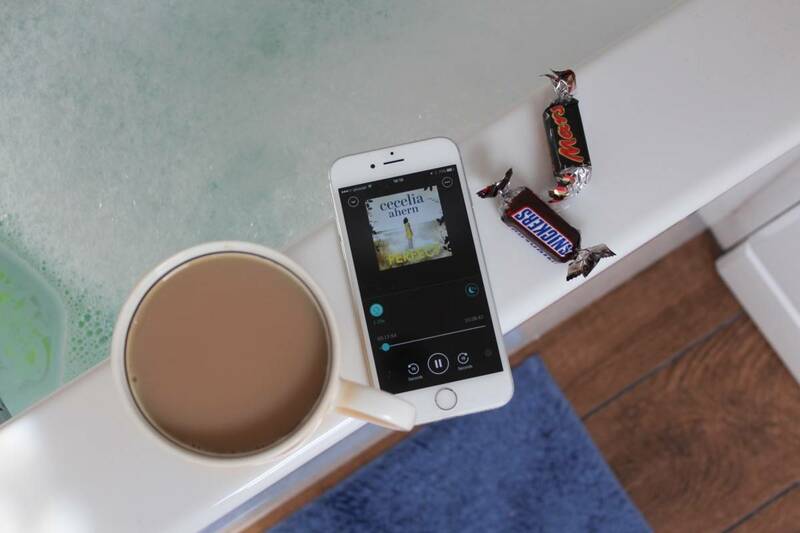 Now, I listen to audiobooks on BookBeat at so many different times – when I’m cleaning the house, hoovering, mopping or even doing the washing up or cleaning the bathroom. I can also listen to it when I’m at the gym – and I tend to get through longer stretches of the book when I’m at the gym than any other time. I also listen to it before bed in the evenings and it’s the perfect way to wind down and end the day. It’s also great for long car journeys and being able to listen through headphones or just through my phone has opened up so many possible times to listen to audiobooks that I had never thought of. I have so much more time in my life to listen to audiobooks than to physically hold a book and read. I have always been quite good at multitasking and BookBeat has really added to that. I can now do something that I want to do whilst doing chores around the house. It’s made even the most mundane tasks more exciting. 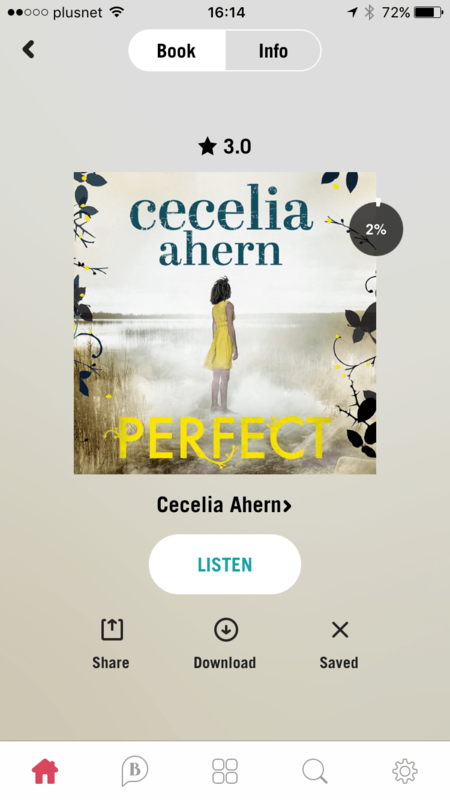 BookBeat has so many features that I love – being able to change the speed that an audiobook is read and being able to still use your phone whilst listening to an audiobook – checking social media or sending text messages. 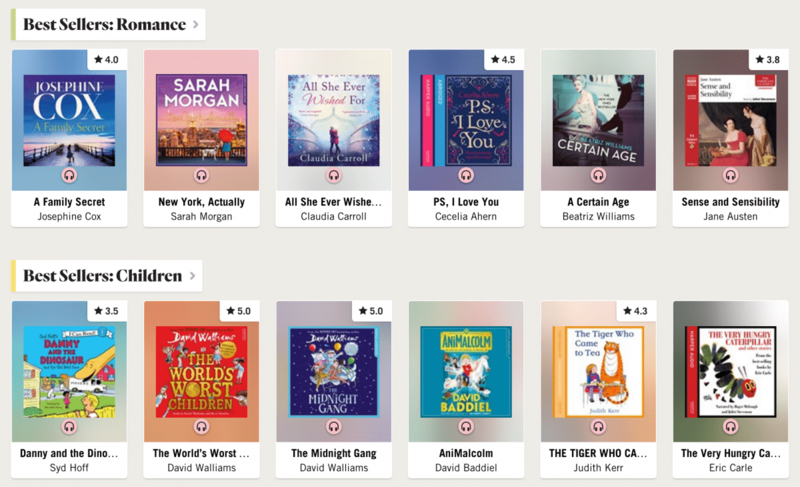 I’m really impressed with how well BookBeat has fitted into my day to day routine and the amount of audio books available on BookBeat mean I will never have to buy another book as there are always new audiobooks being added to the online library. If you would like to try BookBeat for yourself, you can use the code REDHEAD to increase the initial two week free trial to a month over on their website. Book Beat has also just reduced their prices to £12.90 a month – well worth trying out! This is a fab idea. I loved reading pre kids but rarely do now so this sounds perfect! I’ve found I can fit this in in so many ways, too, you just don’t realise the gaps where you could be listening until you try it! I really miss sitting down to read but I just can’t find the time at the moment so this would be ideal for me. I’ve been meaning to give audio books a go for a while, thanks for the code Donna.